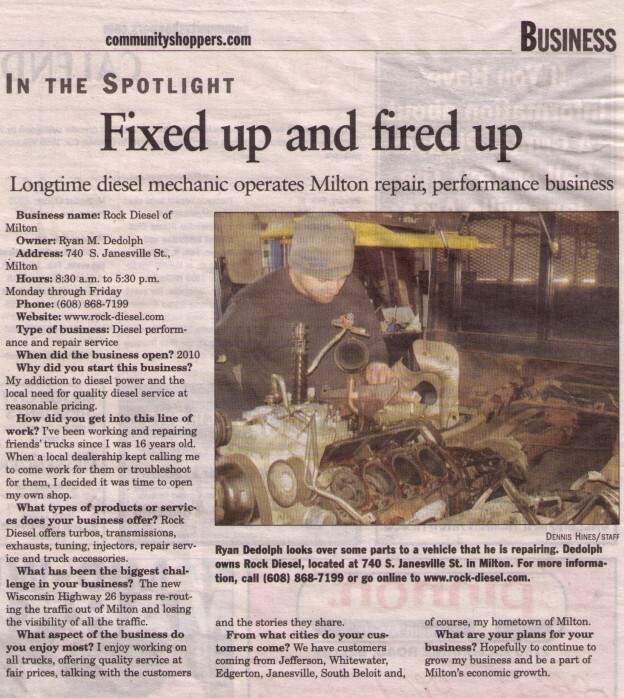 Rock Diesel was featured in a newspaper article in the Community Shopper. This entry was posted in News on January 30, 2014 by rdieseladmin. Copyright 2014: Rock Diesel. Contact Us.